VENEZUELA - With Venezuela being the 50th country posted I am happy to announce that I have reached the end of my 50/50 project, sharing 50 images from 50 countries (with 50 stories). I will soon make the entire collection available in its entirety. While on assignment in Venezuela in 2005 I traveled all night by van from Caracas due west to visit the country’s second city, Maracaibo. We arrived after sunrise exhausted and dripping from the humidity and heat, and immediately proceeded to explore this sprawling metropolis that was a respite from the gridlock and constant safety issues of Caracas. President Hugo Chavez was in office, and there were already signs of a country on the verge of collapse. 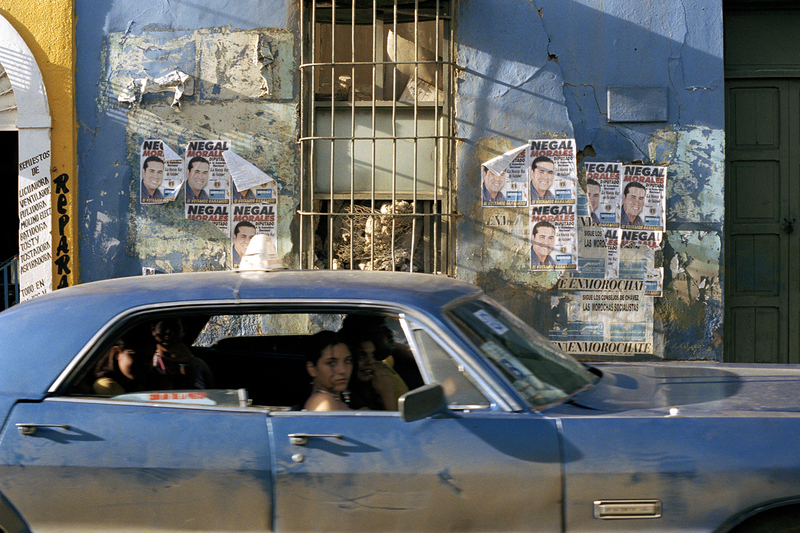 This image selected here of a group of teenagers cruising in a late model US automobile, passing by political posters, all bathed in late afternoon sunlight tells part of the story of this rattled country.